I was ready to make fun of Forrest Fenn. There had been just enough national media this spring about his purported hidden treasure to make me freshly annoyed. I suspected the whole deal was a stunt and he was starving for attention. 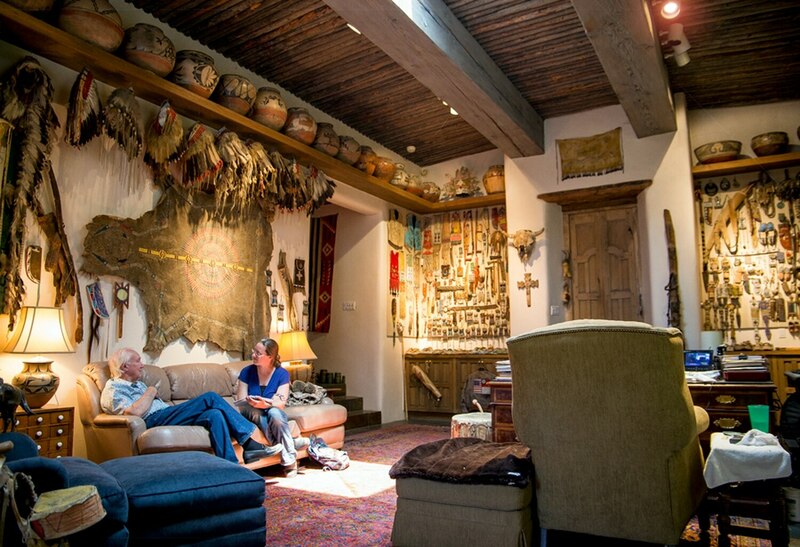 It's been eight years since the famed Santa Fe art dealer published his autobiography, The Thrill of the Chase, and invited people to look for what he says is a chest full of gold and jewels hidden for the taking. At least three treasure hunters have died trying. It's getting on summer now, and more are likely to try. I waited weeks for my backordered copy of the book to arrive, and then shamefully didn't read more than half of it before our meeting. 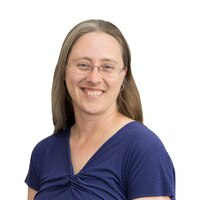 But not long after I set foot into his office just a few steps from his front door on Santa Fe's east side, my defenses melted. Turns out, Fenn is rather charming and interesting—cantakerous too. Three local authors confirm they laid eyes on what Fenn planned to hide before he did it, and all three also declined to help him write a book about it. That didn't stop him. One of them, Michael McGarrity, the Santa Fe author of about a dozen crime novels, consents Fenn is indeed charming and has called him a friend of sorts for 45 years. He says he does not have a doubt that Fenn hid the chest, but he's skeptical about the underlying purpose of the ordeal. It's not likely what Fenn claims, that he hid it to get American families "off the couch," McGarrity says. "I don't buy it and I never have bought it, and I have told Forrest that," McGarrity tells SFR in an interview. "This has to do with a legacy. This is also about getting attention, but he would deny it and would be miffed. … He loves having people believe he is mysterious, and in some ways, he is." Yet McGarrity is quick to mention that he admires Fenn for his storied military career and his role in putting Santa Fe on the map as an arts destination in the 1980s. Dorothy Massey, owner of the downtown Collected Works Bookstore, agrees with that estimation. "The Fenn Gallery was a must-stop, even if you didn't like art. You hadn't seen Santa Fe until you had been to the gallery," she says. Massey says the book stands on its own as an American biography, not just a treasure hunt. Fenn is hard of hearing, so he asks me to sit very close while we talk. He may have even broken some news during our chat. Much of the coverage about his chest refers to it as "buried treasure," but the man threatened me bodily harm both times I said the word "buried." He's not saying it is, he says. And he's not saying it's not. Near the end of our interview, when I'm pestering him about the contents of the chest, he changes the topic abruptly. "Do you like books? Can I show you a few?" He's downright giddy to lead us—past tables layered with beaded moccasins, under a dozen hanging headdresses, in sight of 10 buffalo heads high on the walls and below two rows of pots, each big enough to hold a bushel of chile—to a shelf of volumes with leather binding and gilded pages. 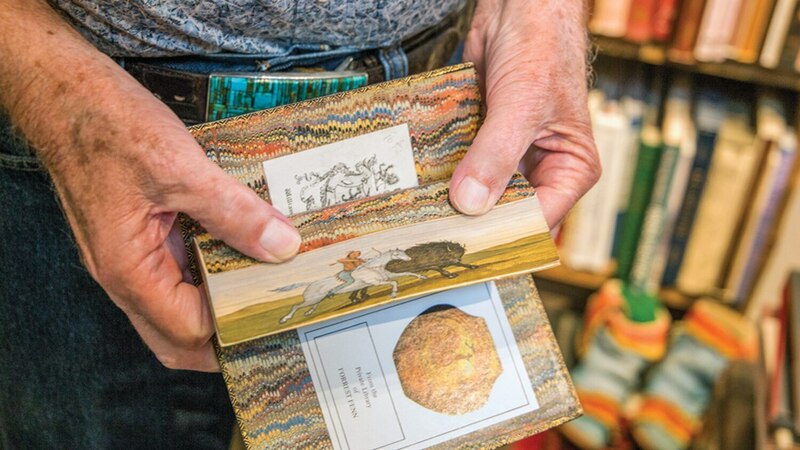 They're fore-edged books, he explains, shifting the angle so that SFR Art Director Anson Stevens-Bollen and his camera can view the edge of the pages as the book is closed, reflecting an inch of gold. Then he slightly fans the pages with his thumbs, shifting them just so to reveal a painting of a horse. He reaches for a second book; this one shows Cambridge in one direction and, when he turns it over to repeat the process, Oxford in the other. Fenn seems to be this way. He might be hiding behind a chest of gold and a lifetime accumulation of wealth, but he's still something like a good old boy. Set to celebrate his 88th birthday in August, he's not finished yet with childlike wonder. He's a little ornery. Maybe he's even evidence that the most valuable thing isn't what is obvious— it's what you have to go looking for. 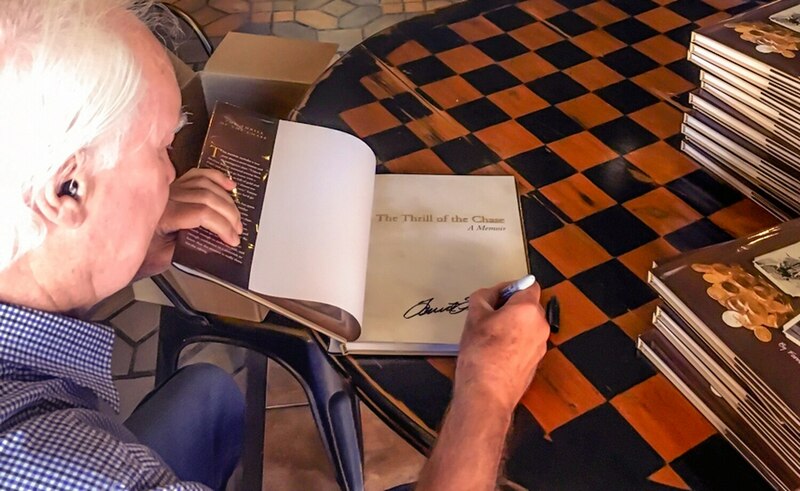 SFR: How many copies of The Thrill of the Chase are up you to now? FF: The Collected Works Bookstore, as of last week, has sold about 40,200. And that is a lot of books for one bookstore. Of course, they are the only one that handles it. Amazon buys it from them and marks it up 10 bucks and sells it. Amazon sells so many books that the bookstore stores 'em in Amazon's warehouse. That feels like a lot of books. For a little ol' kid from Texas what lived by the cemetery, that's a lot. Well, we might as well talk about the treasure. Where did it come from? When I had cancer they told me I was gonna die. And I have never subscribed to a lot of things I have heard. Who says I can't take it with me when I go? So I got this beautiful little chest. I gave $25,000 for it and I said I am going to take a bunch of stuff with me when I go, and I started filling it up. There are 265 American gold coins, most of them eagles and double eagles, and Alaskan placer nuggets, and two of them are as large as a hen's egg, and lots of rubies and emeralds and diamonds and sapphires, and jewelry … wonderful stuff that came out of my own collection. I wanted the treasure chest to be impressive if somebody found it or when somebody found it. I think it is going to be impressive when somebody finds it and opens that lid. Are you sure no one has found it? Don't ask me how, but I am sure. I get paid to ask questions, though. I am smart enough not to answer some. I have a way of knowing whether it has been found or not. But the summer is coming on, you know. You think a lot of people will come this summer looking for it? I get over 100 emails a day and a lot of them tell me 'I am on my way to Santa Fe to look for the treasure.' Of course, it is in one of four states and a lot of people are going to Yellowstone too, they think it's in Yellowstone or Montana or Colorado. People have come to your house and threatened your family, and then of course people have gotten hurt off on their own looking for the treasure. Are you putting anyone in danger with all of this? An average of nine people die each year at the Grand Canyon, did you know that? That is a fact. They don't have enough water, sunstroke, they fall off a mountain or something. But an average of nine a year is a lot, I think. Everybody is responsible for their own actions. Last summer, the chief of the State Police asked you to call off the hunt and you said no. Did you ever meet with him? No. I talked to him on the phone. His reason was mostly financial. He didn't want to spend money searching for people and he said that. But every time you get in your car and head to town you are putting yourself at risk. [Interrupts] No, that is not true, you are reading the press. I have never said what it was worth, because I don't know. The value changes every minute around the world. It is worthwhile. If you can find it, it is worthwhile. It is worth your trip. You are right, I have been reading the press. I also read that you told people you will die before you tell someone; in other words, when you die, you will take the secret with you. Well, I am not gonna tell, whether I die or not. But nobody knows where the treasure chest is but me. My wife does not know within 18 months of when I hid it. But does your wife pester you for the location like everyone else does? My family doesn't discuss it. So what do you and your family like to do for fun? Well, I am 87 years old. Give me some options. Your house is full of all these beautiful artifacts. And therein lies the fun I've had in the past. And is that over? Do you go looking for artifacts? I was a terrible student in high school. I barely graduated. My father was a principal and that was one reason I think I was able to graduate. I never did go to college. But I have said before because I did not go to college I never did learn a lot of the rules that make businesses fail. I had a really good military career. I was a fighter pilot for 17 of my 20 years. I was shot down twice. I flew 328 combat missions. I lost roommates. I got 26 medals. I had a wonderful military career. 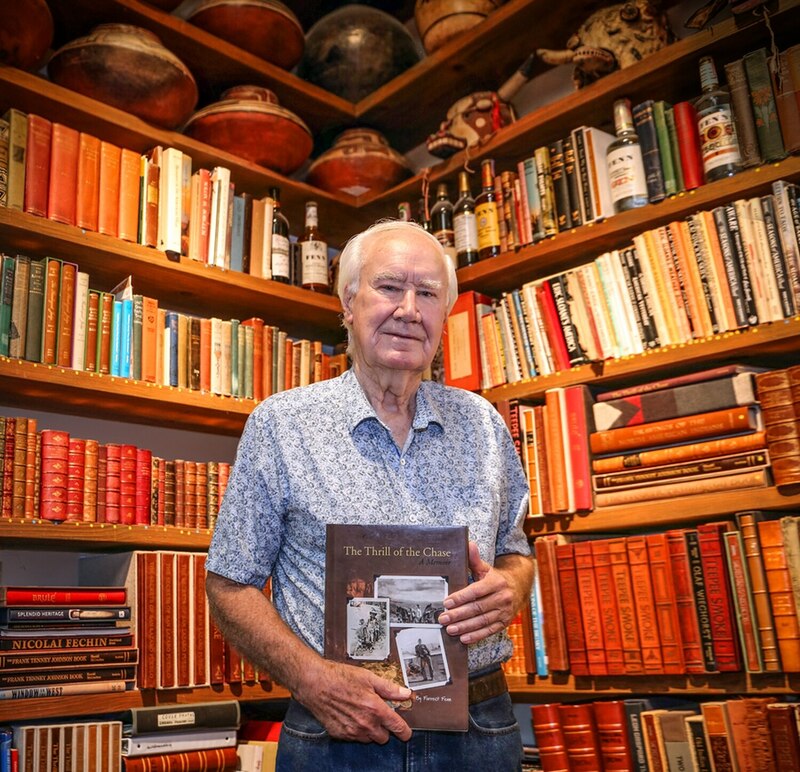 I had a very successful business (pronounced "bidness") career in Santa Fe at Fenn Galleries Limited for 17 years, and since then I have written 11 books and I've excavated a prehistoric and historic Indian pueblos and written a book about that and published a second book. What do you do for encores? That is a valid statement, isn't it? [Interrupts] Now I never did say I buried it, I said it is hidden. That doesn't mean it isn't buried, it's just I did not want to give that as a clue. Did you ever think about giving all that to some community cause like kids or art or something? That's been done so many times. I wanted to do something different. Do you know if anybody has ever gotten close to finding it? I know that there have been people within 200 feet. They told me exactly where they were. But they did not know that they were that close. In a million years, I wouldn't tell them. So you won't even play a little bit of hot/cold? I would never say that. I am asked that all the time. 'Am I getting close?' I usually say 'No comment,' or usually I just don't respond to the e-mail. I get 100 emails a day, the long ones I don't even read. When you had the treasure here, did you ever roll around in it like Scrooge McDuck? Scrooge McDuck. Do you know who that is? No, but I know what you mean and the answer is yes, I did. Years ago, in my gallery downtown, a guy came in and bought something from me for about 8 or 10 thousand dollars in cash, he paid for it in $100 bills and the whole staff was in the front room, about eight or 10 of us, and I walked right out the middle of the room and I threw it up in the air and it just went everywhere. Then we started picking it up, and I was $100 short and I thought somebody stole a $100 bill from me and I couldn't figure out who it was and I fretted over it. And about a month later, I turned the fan on and it floated down. It was on one of the fan blades, so I apologized to my staff. What do you plan to do when someone finds the treasure? Are you going to go out and meet them? I am ambivalent about that. I have argued that with myself for a number of years. The fact is, it depends on the individual. I have got a feeling that the person that finds it is not going to tell anybody. There are a lot of problems if somebody knows that you've found a treasure chest. Not only is it the cardinal element, but for instance you may not want the IRS to know that you found it. If you make it known that you found the treasure chest, you are going to find out that you've got a lot more friends than you thought you had. So it is really real? (Turns to Anson) Did she just ask me that? Well, finish reading my book and then if you wanna call me on the phone and ask me that question, I'll answer it for you. Is that a real saber-toothed tiger skull on the bookshelf? My favorite piece is in my vault. It's the first little arrowhead that I ever found when I was 9 years old. How many pieces do you still have your collection? I have two little pots and I love them. But I don't really have the money. I didn't really have the money either. But I still collected. I first collected bottle tops and then I collected string, anything that was free I collected. What got you interested in the type of art that you started collecting? Well, I grew up in Central Texas and I remember when my grandmother used to tell me about when she was a kid in Fort Worth, the Comanches and the Kiowa running through their barnyard trying to catch chickens and that sort of thing has influenced me. And so I collected Kiowa and Comanche and southern Cheyenne artifacts, and they ranged mostly in Oklahoma but all the way down into the little town that I lived in. I am interested in history. Do you have any advice for people who come looking this summer? Be prepared, you know. Don't go in the mountains unless you know what you're doing. Take plenty of water and tell somebody where you're going and when you're gonna come back. And be sure you take somebody with you and a GPS and a cell phone. Particularly flatlanders, Easterners, that have never been in the Rocky Mountains, they need to be prepared. They need to study before they go. Of course everybody tells you that—the government, the Park Service, they are always emphasizing this and several blogs dedicated to the treasure story always talk about safety. How did you first tell the story that you would bury the treasure? I didn't bury the treasure. If you say that, I'ma shoot you with a dull bullet. There was people around Santa Fe who know. See, they told me I was gonna die. I had cancer. And so I couldn't write the book because I did not know the ending, and so I talked to Doug Preston. I tried to talk him into writing it, and Sally Denton and Michael McGarrity, I showed them all the treasure chest full of stuff and asked them to write the book, because the ending would have to be written after I was dead. But then nobody wanted to do it, and then I read Salinger's book. What's the name of that book? The famous one? Catcher in the Rye? Yeah, I read that one and I thought 'That is such a simple book,' I said, 'I can do that.' Because I was not impressed with Catcher in the Rye, there were no big words in it or anything. And so I said, 'If the world thinks that is a good book. I can do that,' and so I started writing. Why do you think that Sally and Doug and Michael didn't wanna do it? Well, first of all, they all had books they were writing. And secondly, they did not like the philosophy of me dying and them writing the story. But I did not ask them why. They were busy people. Preston has three books on the New York Times list, the last thing he needs is a memoir about Forrest Fenn. Is the picture in the book the real chest and the objects in it? Yes, and also the one on the dust jacket. There are three actual pictures of the chest. The picture does not have the gems and jewels in it. There's a pre-Columbian gold frog. There are five or six gold bracelets. There is a Tiarona and Sinu fetish necklace that is 2,000 years old and it is just so wonderful. Do you like books? Can I show you a few? (We spend the next 15 minutes popping around the rare books in the corner of the library and looking at cast bronze bells that Fenn created and has been burying with copies of a unpublished 20,000-word biography inside. The phone rings, and it's Garrett VeneKlasen, who two weeks later would narrowly lose the Democratic nomination for state land commissioner. He's an old friend of mine. He is running for office. You voted for Hillary, didn't you? My vote was against Hillary. I wrote in Harry Truman's name. I wasn't going to vote for Trump. I liked Harry Truman. If you say I buried it, I am going to come looking for you. … Good luck to you guys. Read the poem that holds the clues to the treasure's location. Media reports have long pegged the value of the treasure at around $1 million, but that's not a number Fenn uses. Shane Hoffman, who owns Premium Precious Metals in Santa Fe with his brother Andrew, says the reported 20 troy pounds of gold could be worth about $312,000 today. Plus, the historic value, called the "numismatic collectability," of some items might give them more worth to certain buyers. But he says because it is a commodity, as the price of the gold goes up, the collectable value doesn't add as much to the price. 1) Placer gold is the kind that had miners wading into streambeds with shovels, pans and dreams. Fenn says there are many pieces of it in the chest, including two "as large as a hen's egg." Hoffman says the value of this gold depends on its purity and it must be melted down and assayed to determine. 2) The US government issues the gold eagle as a one-ounce pure bullion coin. An ounce of gold was $1,302 as of presstime. Double Eagle coins contained just under an ounce of gold and were worth $20 as face value before the US went off the gold standard in 1933. Fenn says there are 265 of a combination of these coins in the chest. 3) The value of diamonds, rubies and other gemstones depends on their clarity, cut and size. There's no way to estimate sight unseen what these and other objects might be worth. Does he think it's out there? "I don't know. I wouldn't put money on it being out there," Hoffman says. "I think the notoriety [Fenn] has gained from this is worth far more than what is in that box."